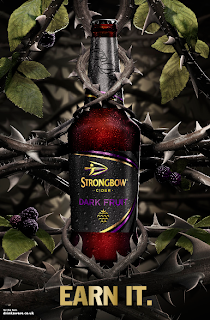 It's been a rip-roaring success in cans, and now Strongbow have released the bottled variety of Dark Fruit. We've got a new OOH poster to mark the launch, challenging you to grab the bottle from its thorny grip to earn its darkly refreshing taste. The dark glass bottle and the black, gold and purple branding reflect the premium feel to this cider, and allow it to stand out even more from the rest of the Strongbow range. Infused with juices of blackberries and blackcurrants and the Strongbow sharpness mean this is no feeble fruity cider. Abra-abra cadabra - Littlewoods Kids goes live!